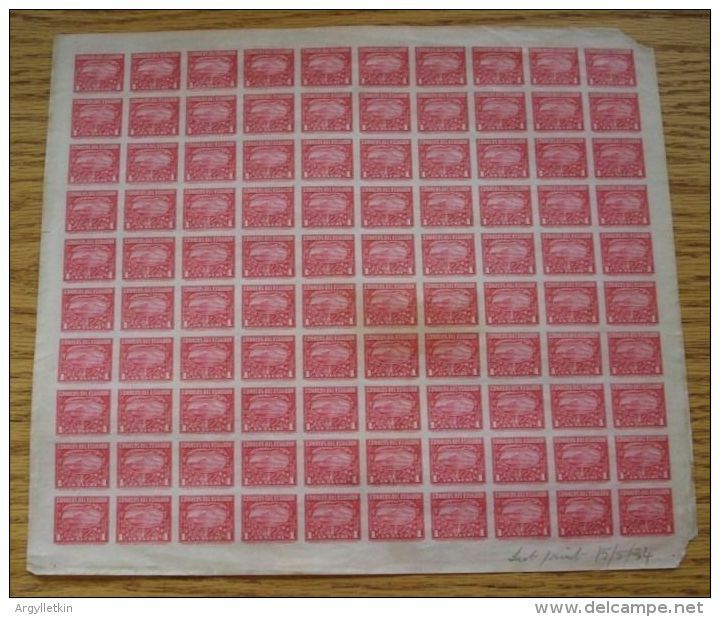 Amazing complete imprimatur sheet of 100 stamps of the 1934 1 Sucre Mount Chimborazo stamp printed in the issued color of carmine on ungummed paper. 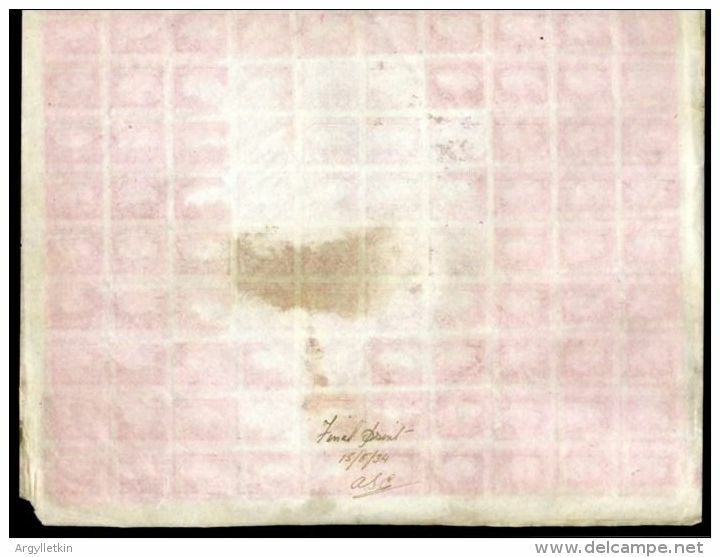 Endorsed on reverse \'Final Print 15.5.34\'. unique and fascinating item. We ship worldwide at $12 within 10 days.